Getting a good start to your day is very important. A good start will help you in many ways. 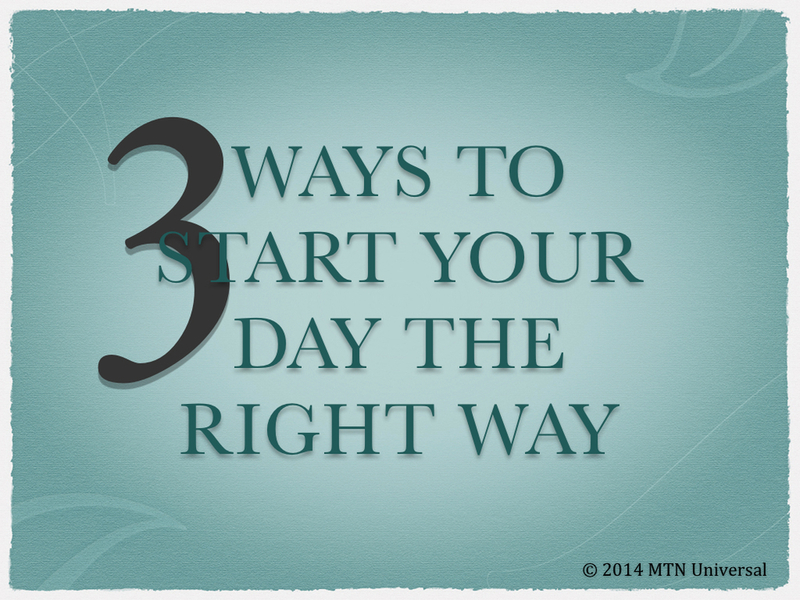 Here are the 3 ways to start your day off the right way. Before I get my day started, I like start my day by talking to the Creator and Sustainer of all things. I’ve found Him to be the greatest Advisor. He accepts me as I am and He has never given me bad advice. I don’t believe there’s a better way to start your day. What’s your reason for waking up every morning? Along with prayer, you will need purpose to start your day off the right way. It will be much easier to discover your purpose if you start your day off with prayer. Everyone should have a reason for waking in the morning. Purpose has everything to do with determination and resoluteness, which you will need to conquer every day. Start everyday with purpose. You will need positive energy to start your day. If you start you day with positive energy, then you will find it quite easy to have the right attitude.